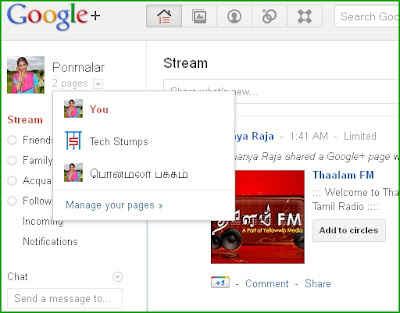 Google Launches google+ pages for google+ users. We can create a page for our brand/prdoucts or website like as facebook. A lot of competitions from facebook, google+ finally arrives this feature now. A Page that connect yourself and your friends or readers of a website. We can update the website news in the pages also. So all of connected members will easily know your recent status. it may be a new product or anything from your website. This is the method to increase our website readers by connecting as followers. It works same as facebook fan page. 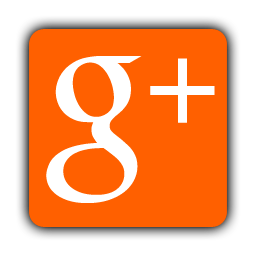 If you have a website, you create a google+ page and ask the readers to join with your google+ page. 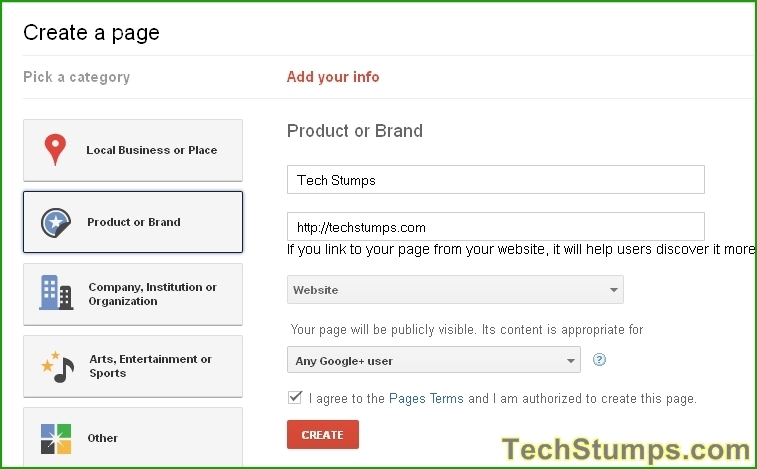 How to create a Google+ Page for your Blog? 2.In the Left Pane, Choose opt category for your need. 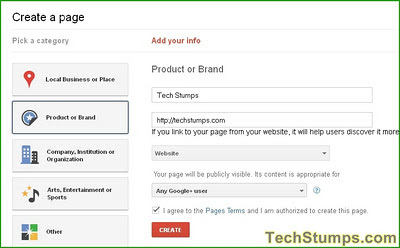 If you want to create a page for your website, select Brand/Product Category. 3.Enter your desired Page Name in Page Name box and Give your site url in website box. 4.You can set legible users to see your page. If your page can be viewed from any users of google+ you leave that with Any users. Click Create Button to move the next options. 6. Photo : Select a profile photo for your page. It will be better when readers can easily identify your page. 7. 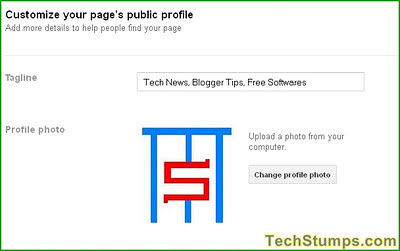 Click Continue to share this new page with your google+ friends. if you do not like to share this time, just click the finish. After the finishing of new page in google+, you will notice the get started features. Here you can create a google+ badge for your website, share with friends about your page. you can view your page profile url also for giving link to others. 1.you can modify the details of your page at anytime. 2.After the creating a new page, the application modes divided to personal user mode and page mode. you can switch between these modes to share your news by you or your page. 3.In the page mode, you can click the +1 buttons to vote, put comments and reshare others messages. 4.User Mode can change by selecting the menu under the profile picture. It is an excellent TIP to people like me who own web pages and to promote the traffic by right source and develop. Pats Ponmalar!